Are you wondering how the new tax laws will affect Glendale CA homes 2018 tax bill? Will you celebrate or cry? 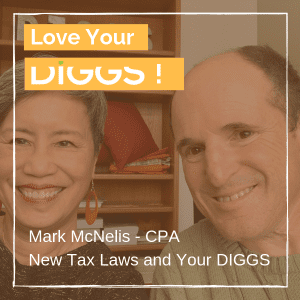 We sat down with Mark McNelis, CPA – Montrose local businessman, parent and community volunteer – for a first level look at how the new tax laws will affect homeowners, renters and business people. Should you buy? I can’t know until we get a chance to find out more about your unique situation. The main impact on new home buyers in 2018. If you use the home equity loan to improve the home you can deduct the interest on that (as long as you are under $750,000 total loans). Do the new tax laws decrease the tax incentive to be a homeowner vs a renter? The home prices in this area mean no. A homeowner still has significant tax advantages. The loss of the state income tax and property tax deductions are not as severe because more of us will now qualify for AMT. Mark ran an analysis on his clients 2017 return as if they were under the 2018 rules. He found 9 out of 10 of his clients were equal or BETTER in their tax obligations. How do Accessory Dwelling Units (ADU) affect your taxes? If there is a second unit that is rented OR used as a home office allows you to take depreciation, insurance, and expenses on that unit. It also allows you to move all of those expenses to the business side of your tax bill, not your personal tax bill. This is important for anyone who currently has more than $750,000 in a mortgage. If you are 55 or older you may roll your current property tax to a replacement home as long as a.) the replacement home is located in a participating county and b.) the replacement home is purchased for equal to or less than the sales price of the current home. Bonus Tip: if you sell first, your replacement home can be 105% if purchased in the first year and 110% if purchased in the second year. You can deduct up to $750,000 of the combined mortgages for your first and second home. Deduct interest up to the level of the investment income you have.